Campus sophomore Nuha Khalfay announced Monday night her intent to run as an independent ASUC Senate candidate in the spring 2017 elections. 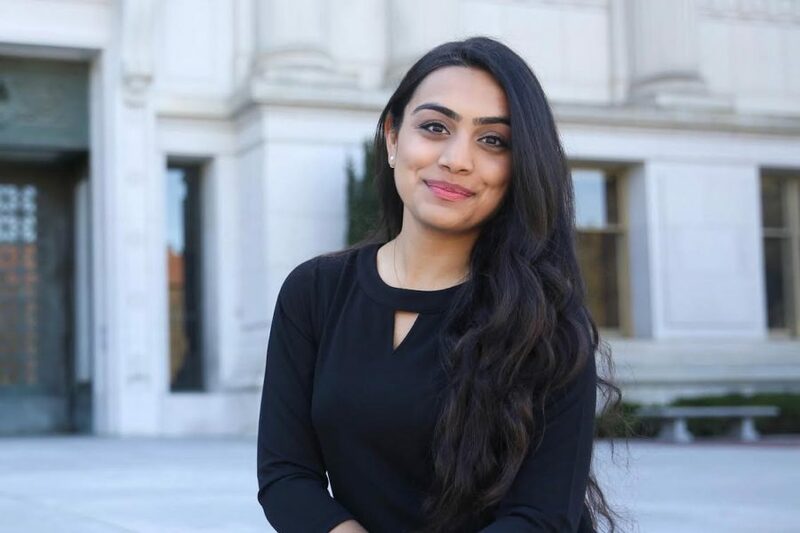 Khalfay, who is an intended public health major minoring in French, is running on platforms including revamping academic advising policies, improving mental and physical health services, supporting the Middle Eastern Muslim Sikh and South Asian, or MEMSSA, community and providing more resources for pre-health majors. Khalfay is the MEMSSA coalition-endorsed candidate, and one of her platforms revolves around leveraging the MEMSSA community and working to improve community members’ mental health. One of her plans, Khalfay said, is to build upon the work of current ASUC Senator Alaa Aissi and continue developing the Southwest Asian, South Asian and North African, or SSWANA, Resource Center into a student development office, with the addition of an executive director. She also wants to institutionalize the Muslim Mental Health Initiative and recruit more SSWANA-identifying counselors on campus. If elected, Khalfay said she would also like to reform academic advising policies to create mandatory annual appointments for students to meet with their advisers in the College of Letters and Science. Additionally, she intends to institute more mental health training for advisers so they are equipped to meet students’ needs during advising hours. Khalfay said she wants to ensure students’ physical health needs are also addressed on campus. She is considering advocating to make the Tang Center’s urgent care services available 24 hours in addition to forming programs that could educate students about how to access mental and physical health services. By working with Student-to-Student Peer Counseling and other mental health organizations on campus to develop a mental health advocacy program, Khalfay plans to make students better informed regarding how to improve their mental and physical health on campus. She added that many students are not fully knowledgeable about the resources on campus they can go to for support in times of need. “It’s not the first thing (students) think of in an emergency, knowing what resources are available, as in ‘Do I need to call 911 right now, or can I take care of this on my own?’ ” Khalfay said. As an intended public health major, Khalfay wants to work with the Office of the Registrar to prevent the possibility of two pre-health requirement finals occurring on the same day — a scenario she has experienced before — and to help improve the mental wellness of pre-health students. This goal includes consolidating class resources on bCourses into one comprehensive tab where students can go to locate helpful information, such as Student Learning Center tutoring hours. She added that pre-health students would benefit from having a pre-health orientation specialized for their course of study in order to have a better idea of what their majors require coming into UC Berkeley. Overall, Khalfay said she wants her contributions to the campus community to improve the student experience. The 2017-18 ASUC elections are scheduled for April 10, 11 and 12.